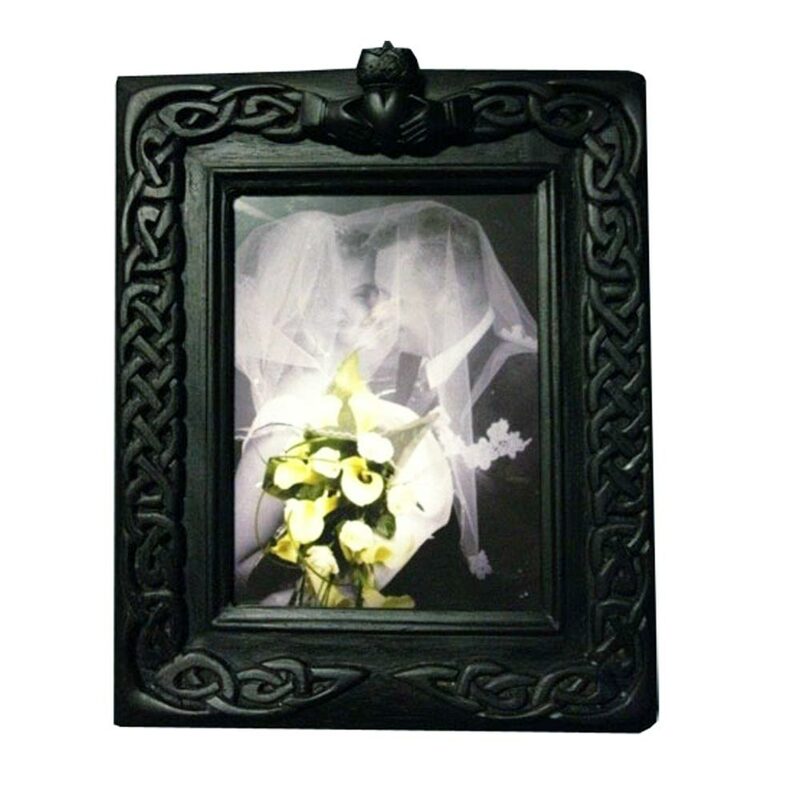 A fabulous standing Claddagh Wedding Photo Frame, handcrafted from ancient Irish bogland turf. Completely unique Irish Gifts, this quality photo frame has a beautiful Celtic design surround with the Claddagh symbol of ‘Love, Loyalty & Friendship’ at the top of the frame. 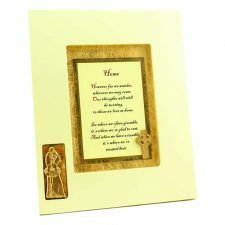 Read my blog on the Claddagh here. 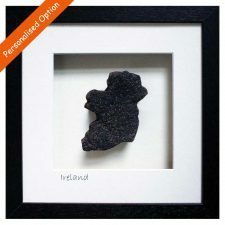 Display your favourite photo within a little piece of Ireland, beautiful handcrafted Claddagh Wedding Photo Frame. 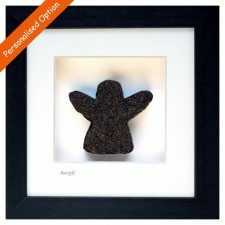 Presented in a lovely Island Turf Crafts gift box. This turf is sustainably sourced from some of Ireland’s oldest boglands formed from partially decomposed vegetation, which has accumulated in waterlogged places for over five thousand years. 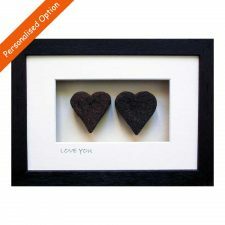 The wet turf bog is fused using glue to create different shapes, then dried in a kiln and processed for any extra carving into beautiful Celtic Gifts. 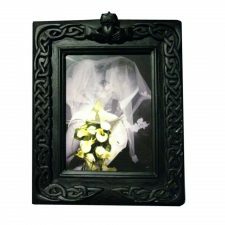 Purchased this Claddagh Wedding Photo Frame as a keepsake wedding gift for my cousin’s wedding, delighted with my choice & would recommend.